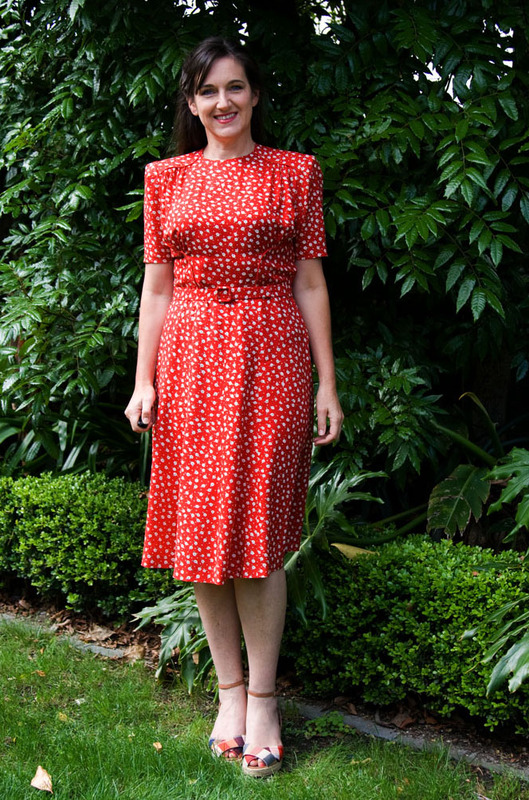 When I sewed my Red Floral 1940’s dress recently, I sort of knew I was pushing my usual personal style boundaries. I had never tried a genuine forties silhouette on me, but I thought it might suit my figure – and it did. But did it suit my personality? Not really. I am sure I could pull off this style under the security of black, but a dainty floral in fire engine red is another story! 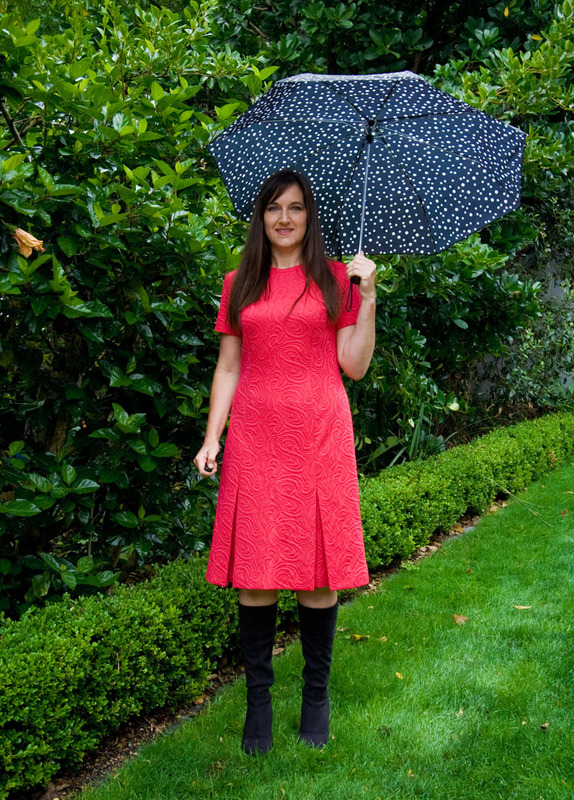 Why then can I feel confident and at ease in an equally vibrant colour – my Fuschia Brocade 60’s Shift? It is because the 1960’s are “my decade”! Although my look is generally modern, I have always had an affinity for the sixties and it has influenced my dress sense ever since I can remember. My mini skirt days are over, but I still regularly wear skinny ribs, shift dresses, tights, boots, A-lines, skinny pants, pinafores, geometric prints and architectural details…sometimes all together! That’s not to say I don’t like any other decade – I do! 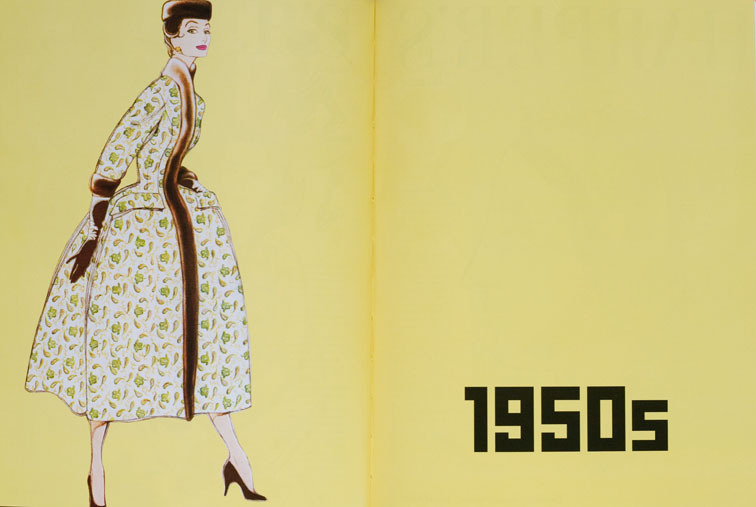 I love 50’s full skirts and cardigans, adore 20’s flapper dresses, and much more. But over the years, whatever tangent I take off on, I keep coming back to sixties style for some reason. Is there a particular era that you frequently reference in your wardrobe – one that really suits your style aesthetic? Are you a fifties fan, or do you have a seventies sensibility, or are you mad for anything modern? What’s your decade? It is a beautiful book – lay your hands on it if you can! 50's. Disguise my hips, accentuate my waist, plus lots of 3/4 sleeves. I like the 40's, love the 30's, but they just don't suit my shape or size. I am a fashion decade chameleon. I just can´t decide upon what I like best, and try to build my wardrobe from that knowledge. I love to explore silhouettes from different eras! I love a 30s ball gown, but don't need to wear one, pretty much ever! The full 50s skirt would hide my hips, but it's 70s stuff that I am most likely to actually wear. Interesting to think about. 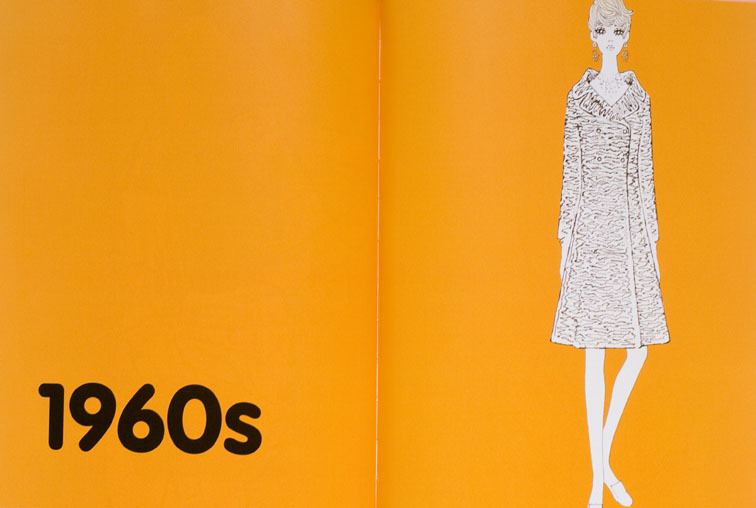 I like the 60s mod styles…these are the only “vintage” patterns that I look at. The fifties do not suit my body shape or personality at all. I used to cringe at the seventies, but really, all that flower power and those flared pants and big collars make me happy on the inside. I so, so, so love the flapper styles. I made a flapper dress with handkerchief hem for a costume in high school…but nothing much since…I recently watched “Chicago” for the first time and found some inspiration that I hope to include in my slip project, when I get back to it. The eighties were really ugly. The forties look smart, but do not suit my personality either. I love from the 30s to the 70's. I have to say I love the fifties too. Though after seeing Midnight in Paris last night, I'm dying to get a few 20s flapper dresses! I'm definitely a 60's girl. Anything with a Jackie vibe! I don't have the waist for earlier eras and remember later ones all too well! I love bits and pieces from the Edwardian era and on, though what I tend to zero in on are the details, rather than the actual silhouette. I”m realizing that the 50s and early 60s stuff suits me best. 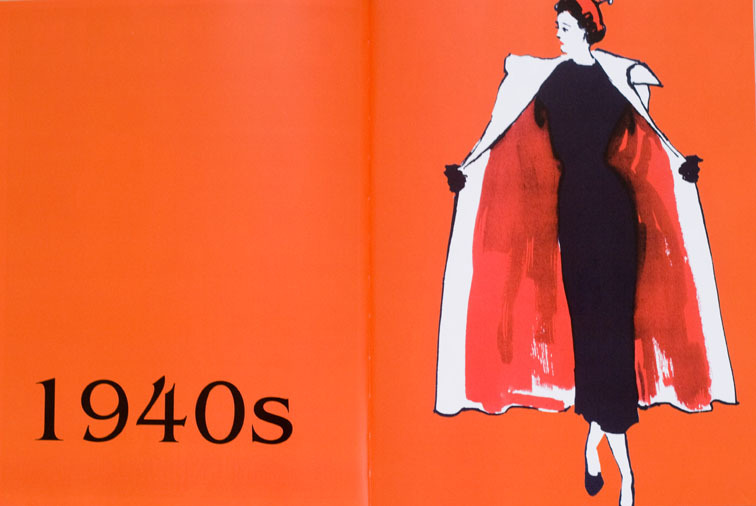 I love the look of the 40s, but never wear the 40s dresses I've made. Unfortunately I also love loud prints — if I want to make stuff in “my era” for work, I'm gonna have to learn to tone it down! What I love is one thing, What i can wear of what I love is quite another thing.I am 69 years old by now and I cannot wear dresses with petticoats. In Holland We have an expression that speaks about women that have, seeing from the backside the outlook of “lyceum”(schoolgirl) and from the front like “museum”. I hope you understand my point. Probably the 1890s, in all honesty. If I could make the blouses that button up the front instead of the back, since that gets harder and harder to do by myself, the older I get. But I miss the well-fitted trousers of the 1970s, the ones that went all the way to your actual waistline. And some of the blouses were beautiful. fifties and sixties! sixties styles are a bit easier to feel less costume-y in, though. I, also, like bits & pieces of the Edwardian era. I generally stick to specific patterns over a particular silhouette. Walking skirts; late Edwardian travel jackets, coats, & those gorgeous duster type hats; 1930s housecoat/robe…. 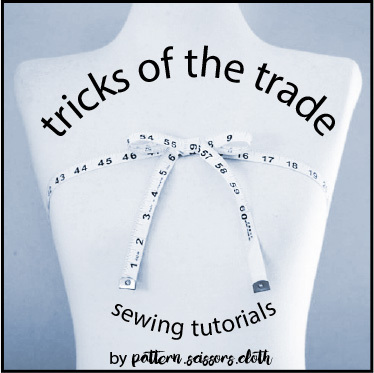 My main issue with vintage patterns is that the only ones I can find are for the smaller sizes…especially the 1930s! Does anyone know where I could find a reasonably priced 1930s robe pattern for larger women sizes? 70s. Yves Saint Laurent, Le Smoking 70s. I love the architecture of the 60s, too, but I keep coming back to the 70s, both the glam and the peasanty styles especially when they emphasize the waist. Anything I can wear with platforms! It's hard to choose just one. A lot of 50s influence. But also a lot of style from the 20s, particularly accessories. And a touch of 70's boho. Ooh, I'm a '60's girl, too! I like the simplicity of simple shift dresses, peacoats, knee socks, and mini skirts (although since I'm pushing 30 I really shouldn't be doing mini skirts anymore!) I'm thin with a rectangular figure, and while I love the 50's styles, they tend to overwhelm my frame and make me look like I'm playing dress-up with mommy's clothes! 70s are what I pick unconsciously when thrift shopping. I admire 40s fashion and love farmhouse chic. I used to think I was a 50s girl through and through. But once I started to sew about a year ago I realize my favorite decades are the 40s and 60s. Though I'm still searching for a reason to make an Edwardian gown a la Downton Abbey! Fashion decade chameleon – that's a great term! Oh, this has happened to me before too! In NZ we have a similar expression – “mutton dressed up as lamb”! Ooh I agree, sixties slots really well into a modern wardrobe! I pick and choose what suits me best and then mix well. I take pants from the 70s and the 50s for the great fit and high waists. But I always wear 1970s referencing the 40s with the blouses and so on. I think a blend of the 40s and 70s would best describe my style, like a hippy secretary with a little rock and roll mixed in. I am definitely a 1950's girl but I do love me some 1970's too. I find I tend to go 1950's for going out and dressing up and on more casual days I lean more towards the 1970's. I adore the styles from the 20s to 70s but my favorite for wearing is mid/late 60s to early 70s. What a great question! My favorite decade is the 1950s. Why? Probably because of the style of my dressmaking grandmother. I was a child of the 50s, and she would allow my sister and I to play dress-up with a box of discarded clothing and shoes. I now realize I remember those shoes the most. We end up being of similar build and stature; fifties shoulders, hips and skirt length work best for my body type, too. I've returned it now – but here's the Amazon link! Good question… For me, it's hard to say. In the clothes I make, I think I mix and match different influences. I love the 50's looks but I don't really have the body for it. Before I changed my hair (from just long to long with fringe) I was physically best suited for 70's and in my twenties, I did stick to wearing boot cut trousers when skinnies were taking over… I've also been a goth in my teenage years and in that phase, I loved anything Victorian. Thank you very much Sherry! Definitely 70s. And late 60s. For me, I think they fit both personality and body shape. However, I love seeing people really get into the decades they love! Mine is definitely the 40s. I've never felt comfortable in mini-skirts (or anything that falls above the knee). I also don't feel comfortable in low-waisted pants. 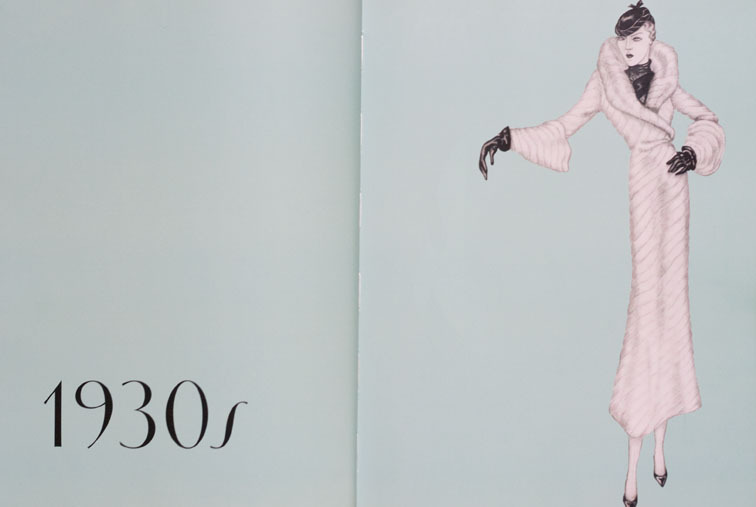 I don't like the 20s because it's too shapeless and I'm not um thin enough to pull off that look, and same for the 60s.